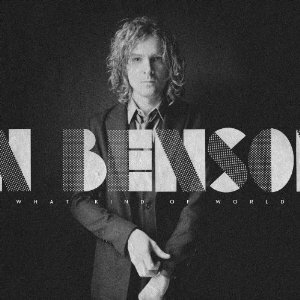 Long before he became Jack White’s right-hand man in the Raconteurs, Brendan Benson was turning out chewy nuggets of ’70s-era power pop with dashes of alt-rock bite. The Michigan-bred singer-songwriter’s fifth solo album doesn’t break any new ground or even stray into unfamiliar territory. Instead, it’s a dependable, if somewhat forgettable, slice of melodic and muscular rock & roll that never gets too fussy or complicated. Unlike his more famous guitar-hero pal, Benson never sounds like he has something to prove. The songs – especially the extravagantly lush “Bad for Me” and the tops-down-rocker “Light of Day” – on What Kind of World are filled with big choruses, pounding pianos, and an unabashedly sincere love for 35-year-old radio hits as they straddle the sweet line between Elton John and Electric Light Orchestra.